On the occasion of the invention of the telephone in 1876 the Post Museum in The Hague has an exhibition called '100 years of telephone'. A look at the history of the telephone. 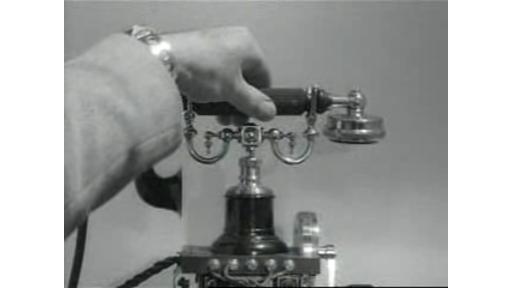 SHOTS: several models of the telephone, one of them is a videophone; telephonists take care of the international telephone traffic; overview of the exhibition. ARCHIVE MATERIAL: telephone exchange; telephonists make connections.